Angie Croft is the creator and founder of Pop Goes the Party LLC, Tampa’s original and best gourmet cake pops and custom creative dessert company. Inspired by a long line of incredible bakers from several different cultures, in 2011, Angie became a new mom with a lot of new responsibilities after the birth of her son Colton. She found herself baking and creating in her spare time for fun, often at the repeated requests of her family and friends. After discovering the widespread desire for more customized themed treats and the entrepreneurial spirit to have her own business, the concept of Pop Goes the Party was born. A seasoned non-profit executive by day and hobby baker during her free time, Angie has found a way to combine both passions for investing in her local community by building her small business with the same core values and ethics that are practiced in her professional career. The outcome has been overwhelming and has ultimately been the catalyst for the success and growth of Pop Goes the Party. With a long standing reputation of impeccable attention to detail, excellence in customer service and the consistent ability to create almost anything from cake, Pop Goes the Party has become Tampa’s best in creating gourmet cake pops. From small custom orders to large dessert tables for weddings and corporate clients, Pop Goes the Party adds creative sweetness to life’s celebrations all over the region. Unlike traditional cake pops, Pop Goes the Party creates their designs from fully baked cake, with no added frosting. The result is a small, two-bite, moist, fluffy piece of homemade cake, dipped and decorated in high quality chocolate and edible accents. Pop Goes the Party has been featured in publications, programs and blogs like Borrowed and Blue, Artfully Wed, Ella & Annie Magazine, The Mommy Spot Tampa, Tampa Bay Business Journal, Pint Sized Baker, Studio 10, Daytime TV and The Now Tampa Bay. 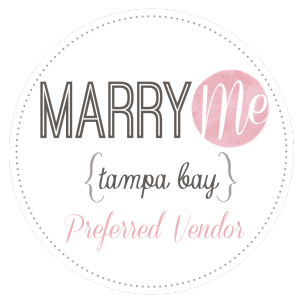 Their desserts have also recognized as nominees for the Best Dish in the Biz by the Tampa Bay Business Journal, Best Desserts by Creative Loafing Tampa Bay, Martha Stewart’s American Made Awards and most recently recognized as one of Tampa’s top 20 wedding bakeries in Tampa by Expertise.